If you're looking for a new gadget to buy, just stop right now. Don't do it. Wait another week, see what gets unveiled, try not to faint in the process, and then figure out which of the hundreds of announced toys you should start saving up for. Chances are, prices for existing products will drop as well, so whatever you do, don't go shopping this week. But back to Vegas. 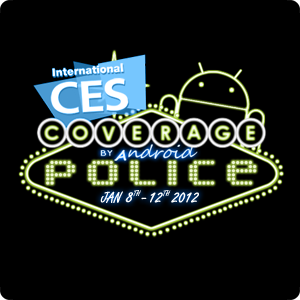 Android Police is going to be represented by Artem (that's me) and David Ruddock, our opinionated chief editor, who are flying and driving into Sin City early Sunday afternoon, ready to sprint the absolute monstrosity that is the Las Vegas Convention Center (LVCC) and the surrounding hotels. Expect liveblogs, hands-on photos and videos, and more tweets you can handle (that's the way it's got to be!). The rest of the AP team is standing by on high alert, covering everything related to Android 24 hours a day until their heads spin off. If our last year's CES experience is any indication, there will be no sleep (who needs sleep in Vegas anyway? ), and various caffeinated drinks are going to be consumed by the liter. And yet, I wouldn't trade it for anything. I mean, what other job (can I even call this a job?) involves running around gadget pr0n all day, fighting off waiters with free hors d'oeuvres, and drowning in open bars at night? CES 2012 officially starts on January 10th and ends on the 13th, but don't be fooled by that - in reality, the first events are starting on the 8th. The 9th, Press Day, is probably the most important day - it's jam-packed full of conferences and product announcements, so clear your Monday - you're going to have some reading to do. Once the event officially starts on the 10th, the gigantic convention center will be fully open for some serious play time. Miles and miles of shiny gadgets, walls made entirely of TVs you won't even be able to see, booth babes, you get the picture. Things will start winding down come Thursday, which is when we'll call it a day and try to catch some Zzzs while admiring the strength and courage of all those who stayed till Friday. See you on the other side, if we survive!